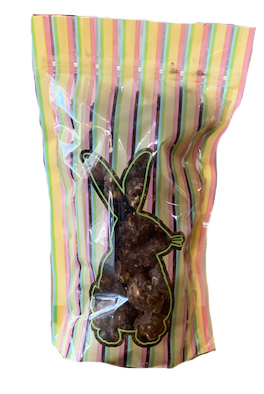 This adorable bunny bag holds 3 cups of dark chocolate sea salt caramel popcorn. It is completely covered with dark chocolate and then sprinkle with coarse sea salt. Delicious.